Enter our Twitter Giveaway for your chance to win two tickets to The Making of Poldark event courtesy of the Radio Times Festival. 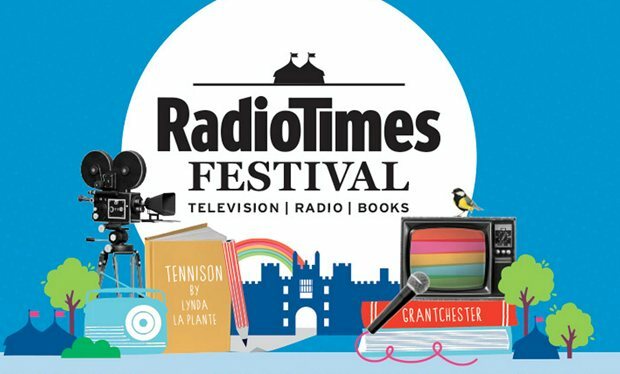 The Radio Times Festival will be held at Hampton Court Palace in September. 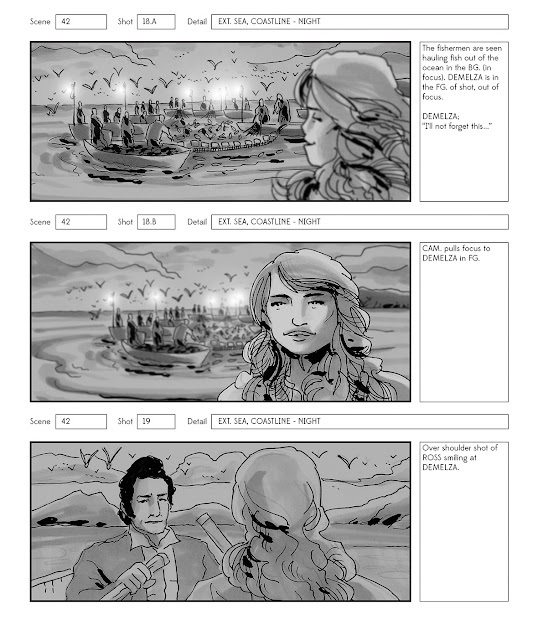 The Making of Poldark is on Sunday 27 September, 3.30 to 4.30 pm. 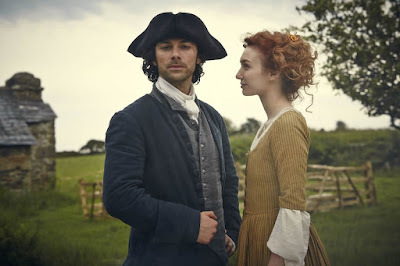 Poldark's executive producers Karen Thrussell and Damien Timmer, and writer Debbie Horsfield will be at the event to give the low-down on filming the series. Leading members of the cast will also attend (to be announced - watch this space). Andrew Graham will join them to talk about his father’s writing, including the book Poldark’s Cornwall. To be in with a chance of winning simply follow @Poldarked on Twitter and retweet the competition tweet. The competition closes at 4 pm BST on Friday 28 August. One winner will be chosen at random from everyone who follows @Poldarked and retweets our message. The winner will be notified by direct message on Twitter by the @Poldarked Twitter account and asked to provide contact details, which will be passed on to the Radio Times Festival to send out the tickets. 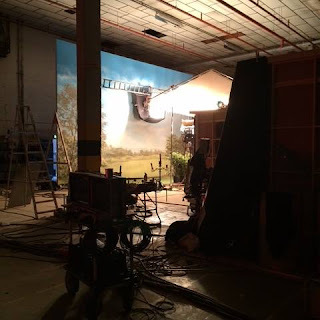 While waiting for Poldark to start filming here's a little look behind the scenes at a set being used for another Mammoth Screen production starring Aidan Turner, And Then There Were None (mild spoilers). The location, at the former Central Saint Martins site in Holborn, London, has previously been used for The Imitation Game and Frankenstein reports estatesgazette. And Then There Were None is based on the novel by Agatha Christie and is being made for BBC One to air, probably at Christmas, in three sixty-minute episodes. 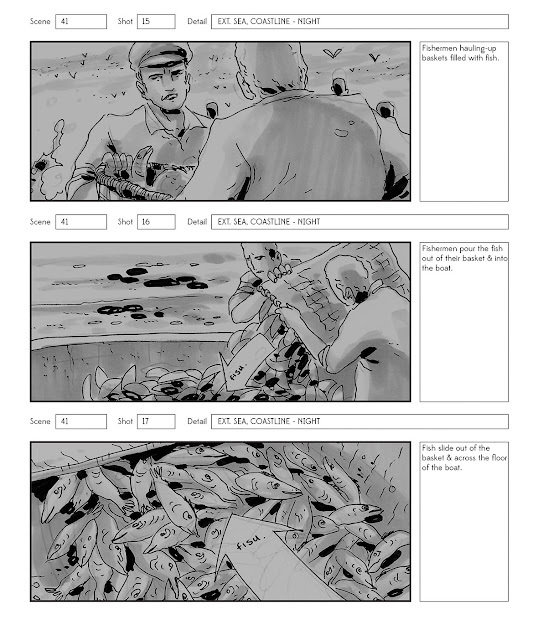 Aidan plays a mercenary soldier, Philip Lombard, in the drama. 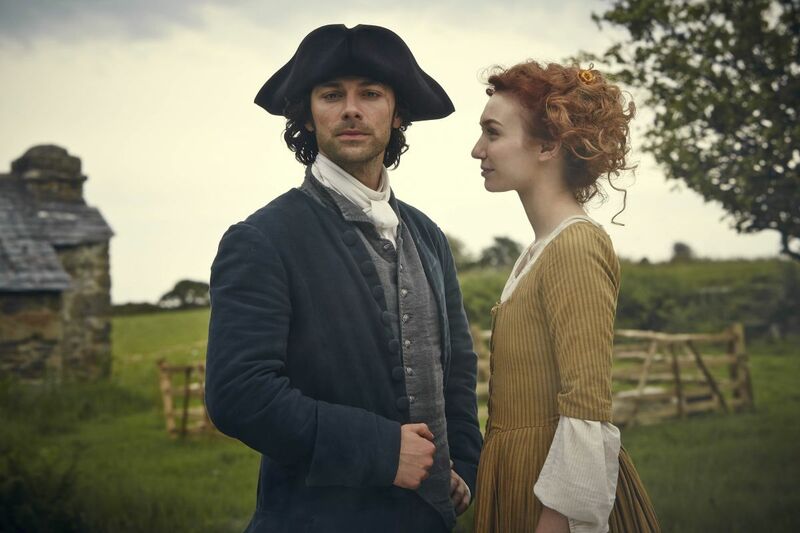 The BBC has announced that Corsham will not be used as Truro in the second series of Poldark. Instead, other streets and the harbour at Charlestown in Cornwall will be used. Producer Margaret Mitchell said, "Corsham offered a great vista for the world of Poldark last series. The residents were incredibly accommodating and understanding of the film crew's need to transform a contemporary town into the busy 18th Century Cornish town of Truro. "Roads had to be closed during the latter stages of prep and shoot to enable road coverings to be laid, shop frontages had to be given the 18th Century treatment too. 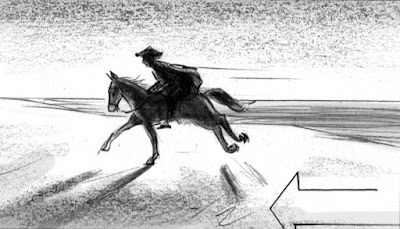 "For this series, there are other demands on the visuals for the production, and so the decision has been made to create the Truro world using other streets plus integrating the Harbour element of Charlestown in Cornwall. "Creative aspirations always play a largest part in the decision making of any production.We're really sorry not to be able to return, but the filming of a second series means that we are looking to add other visual value and enjoyment for the audience, and hope that the choices we make this year will fulfill that," reports the Bath Chronicle. 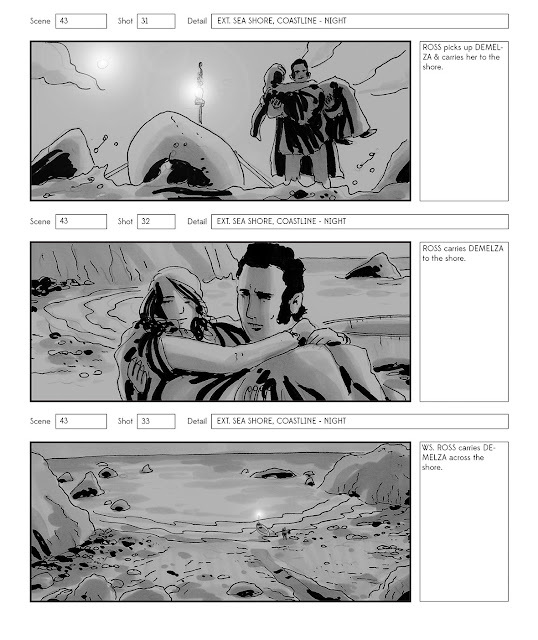 Andrew Lamb and Jenny Turner are two storyboard artists who worked on Poldark Season 1. 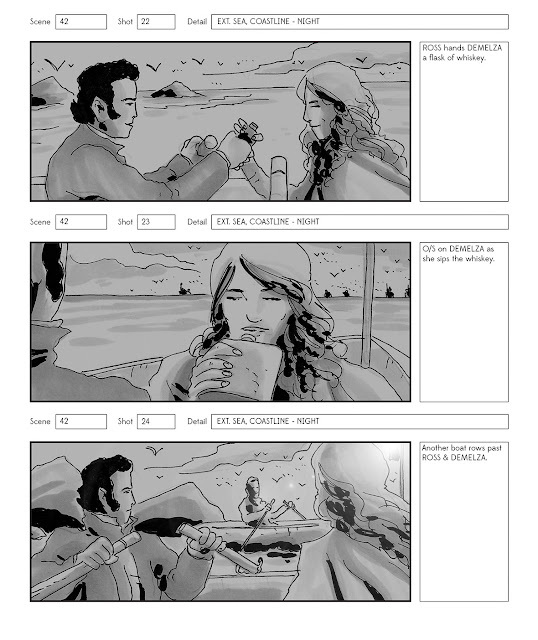 Storyboard artists help with a film's production by taking the screenplay and making sketches of the scenes. They work closely with the director to give a clear idea of what the director wants to achieve and what props, make-up and so on are needed. Andrew storyboarded the pilchard scene with the men fishing for pilchards and Ross and Demelza rowing to the shore. Here is a selection of drawings from this scene. You can see the full set on Andrew Lamb. 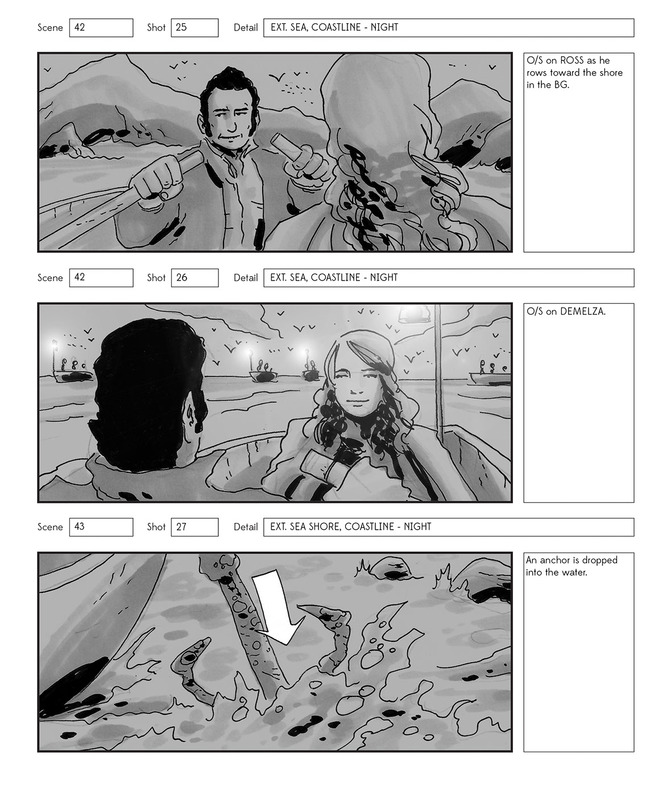 Jenny's drawings of the skirmish and the shipwreck scene follow in 'Storyboarding Poldark Part 2'. Executive producers Karen Thrussell and Damien Timmer and writer Debbie Horsfield will be at The Making of Poldark event to give the low-down on filming the series. Leading members of the cast will also attend (to be announced - watch this space). Andrew Graham will join them to talk about his father’s writing, including the book Poldark’s Cornwall. Aidan Turner talks about what's in store in Poldark Season 2 in this PBS Masterpiece video. 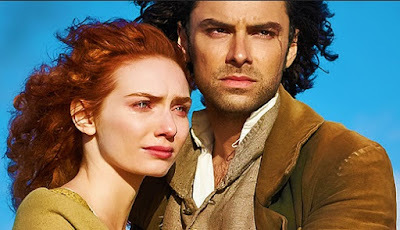 At last we have some viewing figures for Poldark on PBS Masterpiece. Rebecca Eaton also announced that Poldark was renewed for a second season on Masterpiece.